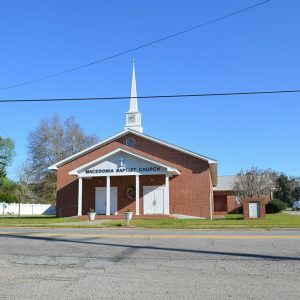 The first African American Baptist church in Barnwell County was founded in 1866 when Rev. James T. Tolbert preached in Blackville under a brush arbor, the first sanctuary was built in 1868. The church hosted the first state convention of black Baptists, held here in 1875, and built its second sanctuary by 1887. The present sanctuary was built in 1976. This is the mother church of eight churches founded 1867- 1922: Ebenezer, Frost Branch, Pilgrim Rest, St. Peter, Sunshine, Tabernacle, Shrub Branch, and Central. Macedonia Baptist Association, which promoted the education of area blacks, opened Macedonia School nearby in 1890.